Starting Thursday October 22nd, in Starbucks stores in Washington and in Oakland, California, will offer the “Beast Mode Frappuccino“! Created by Marshawn Lynch, this new Frappuccino will be offered until the end of the football season. Marshawn Lynch helped create this Frappuccino! Each time you purchase a “Beast Mode Frappuccino,” Starbucks will donate 24 cents (up to a maximum of $100,000) to the non-profit Fam 1st Family Foundation, a non-profit co-founded by Marshawn Lynch to mentor underprivileged children in Oakland. Marshawn Lynch wears 24 on his Seahawks jersey. 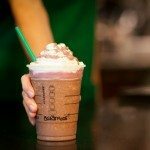 Here’s how you order this Frappuccino: It is a specially-customized Mocha Frappuccino. You can order it either in the coffee version or the creme-based version. Ask for 4 pumps of mocha sauce, 1 scoop of protein powder, and 1 pump of peppermint syrup. As for 6 pumps of mocha sauce, and again 1 scoop of protein powder, and 1 pump of peppermint syrup. Ask for 8 pumps of mocha sauce, and again 1 scoop of protein powder, and 1 pump of peppermint syrup. The “Purple berry drizzle” isn’t something that your Starbucks will have just ready to go, unless you are in Washington or in Oakland. The Purple berry drizzle is made in advance for the day’s orders of Beastmode Frappuccinos. Purple berry drizzle includes white mocha sauce, freeze dried blackberries and strawberries, vanilla syrup, all triple blended and then poured into a gravity-drizzle bottle. For partners not in Washington or Oakland who really want to try making this, apparently use add 13 pumps of white mocha sauce, 3 scoops of blackberries, 1 scoop of the strawberries, 13 pumps of vanilla in a blend, and triple blend and place into a drizzle bottle. That will last you a while I imagine for many Beast Mode Frappuccinos! Attention customers: If you are not in Washington or Oakland, you won’t get the special Purple Berry Drizzle on this drink. 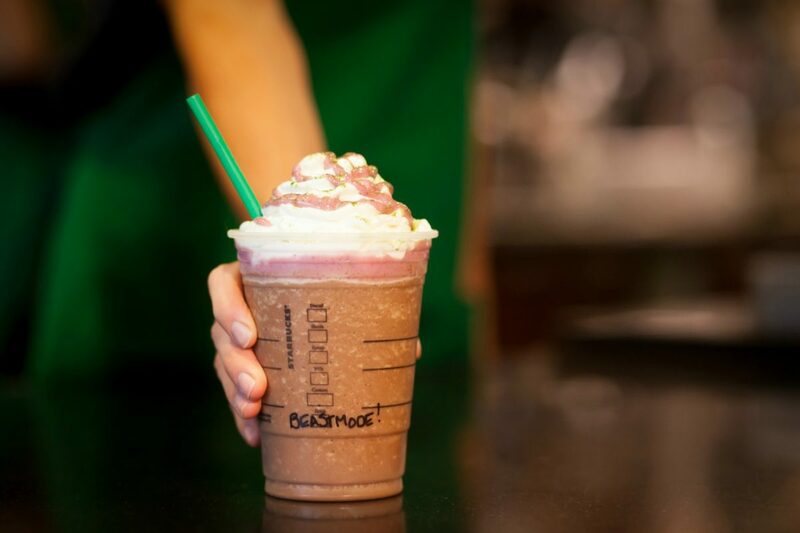 Get ready for the Beast Mode Frappuccino! Starbucks in the News: A Roastery in Brooklyn? A Reserve Bar in London. 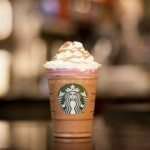 Free Grande Starbucks Frappuccino May 24 – 30 with Purchase of Special Promo Cup! 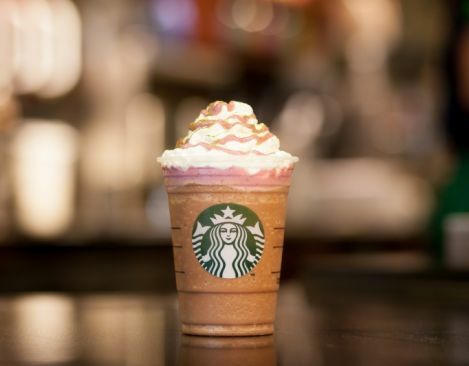 The Milk Chocolate-Dipped Strawberry Frappuccino and 6 other great Frappuccino ideas. The Lemon Bar Frappuccino (begins June 8th) & the Strawberry Push Up Pop Frappuccino. You actually won’t get purple berry drizzle in washington either. They say that it goes bad in 24 hours, and they don’t make enough beastmode frappuccinos.